Often times when traveling and exploring new places, food is really never taken out of the equation. How many times have you told yourself that you need to work out and diet after indulging on lot of delicacies after your vacation? I know I’m guilty of saying those phrases. 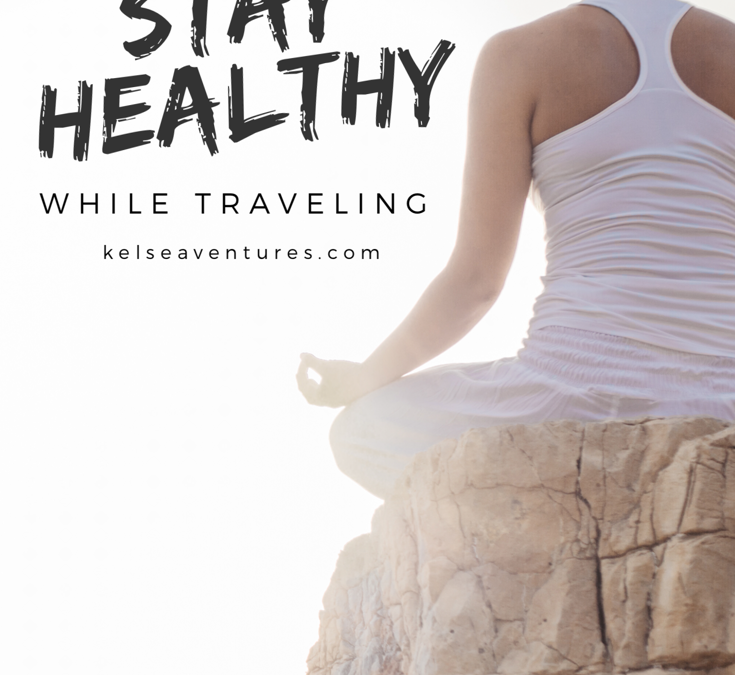 There’s nothing wrong about treating yourself while traveling, but let me save you the worry and the stress when you come back home from with a few tips that’ll make your travels healthier. Traveling involves a lot of walking but let’s face it, most of us take the an Uber to get to our destinations faster and to stick to the travel itinerary. It’s all well and good to do that, but next time you’re traveling, schedule a stroll through the city to see the sights. Don’t be in such a hurry. A 15-minute work a day won’t hurt your schedule and you’ll get to see and experience the places more. Always bring a reusable water bottle with you, hydration is important and we tend to neglect water when traveling. Most tourist and travelers get sick on the road and on their way back just because of one simple issue, dehydration. This is easily avoidable. Even when your traveling always make sure drink the equivalent of 8 glasses a day. When we’re at a new place, of course our first instinct is to try every new food we see. Obviously, you should absolutely try the food while you’re traveling, but try to balance out a rich meals with fruits, vegetables and other low calorie, high nutrient foods. This will help you avoid getting sick too! Since most places have markets with great local produce. You can get fresh fruits, vegetables, meats, seafood and whole grains to take back to your room. If you have a microwave, or even full kitten you’ll be able to make all sorts of easy quick and healthy meals, but if not, I’ll often grab some vegetables or fruits for breakfast and lunch and then have dinner out. Just because you’re not at home doesn’t mean you must neglect all your daily routines. If there’s something that makes you feel better morning or night (meditating, going for a run etc) do it! Making yourself a priority is important, even on vacation. Also, vacations can be stressful, so take the time to de-stress or meditate after a long day. These are some super simple steps to stay healthier while on vacation!